The 2018 World Cup looks on course to set a new record for the number of penalties awarded. Fueled with confidence from their opening World Cup victory over Germany, Mexico strolled to a 2-1 win over South Korea on Saturday -- with their first goal coming from a penalty. It was the 14th to be awarded in the tournament so far -- more than in the entire 2014 World Cup -- with many pointing to the newly-introduced VAR as the reason for the spike in penalties. France 1998 saw 18 penalties awarded, but 2018 -- already so dominated by debate around the new video officiating technology -- looks likely to break that record with over 30 matches still to play. 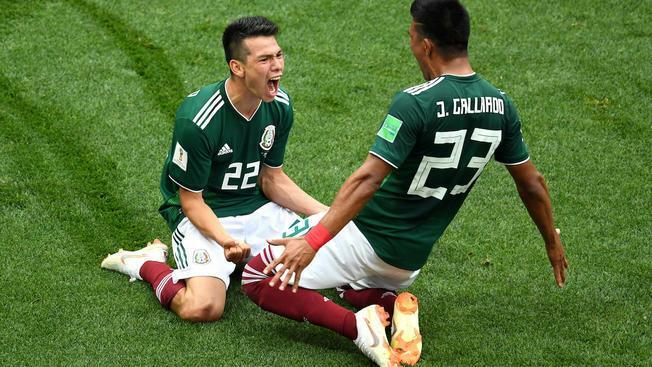 Mexico's win keeps them top of Group F on six points and leaves the Germans facing the growing possibility of a last-16 clash with five-times winners Brazil. Carlos Vela gave Mexico the lead with that penalty after Korean defender Jang Hyun-soo blocked Andres Guardado's cross with his arm inside the area, before the nation's all-time leading goalscorer Javier Hernandez doubled their lead in the second half with his 50th international goal. With little else to cheer in the match, the South Korean fans were lifted by an impressive injury-time strike from Tottenham forward Son Heung-min -- their first goal of this World Cup -- but it was too late to push for an equalizer. 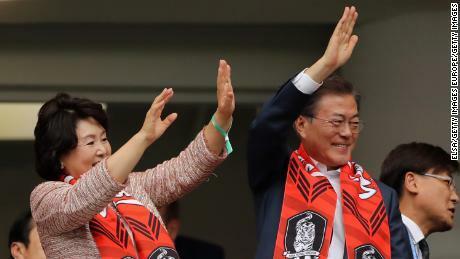 South Korean President Moon Jae-in and his wife Kim Jung-sook looked on from the stands in the Rostov Arena as part of their three-day visit to Russia, but a second consecutive 1-0 defeat leaves the 2002 semifinalists them on the brink of an early exit from the tournament. They have now gone eight World Cup matches without a win -- going back to the group stages of 2010 -- and face the daunting prospect of Germany in their final group game.